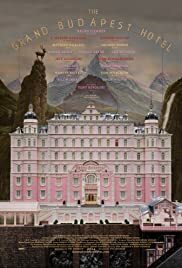 The Grand Hotel Budapest is a zany, colorful and fascinating journey through old postcard Europe, such as only Hollywood can think of. With his old, almost square picture format Wes Anderson pays tribute to recent days, but with the whole movie. In addition to his brilliant humor and endearing characters, this film captures gems with seemingly small details and meticulous compositions. For me, now one of the funniest and most original movies of 2014. The style is unique. You will either like it or you won't. There is no middle ground here. With too many great actors to mention, they all gave outstanding performance that will keep you enchanted.